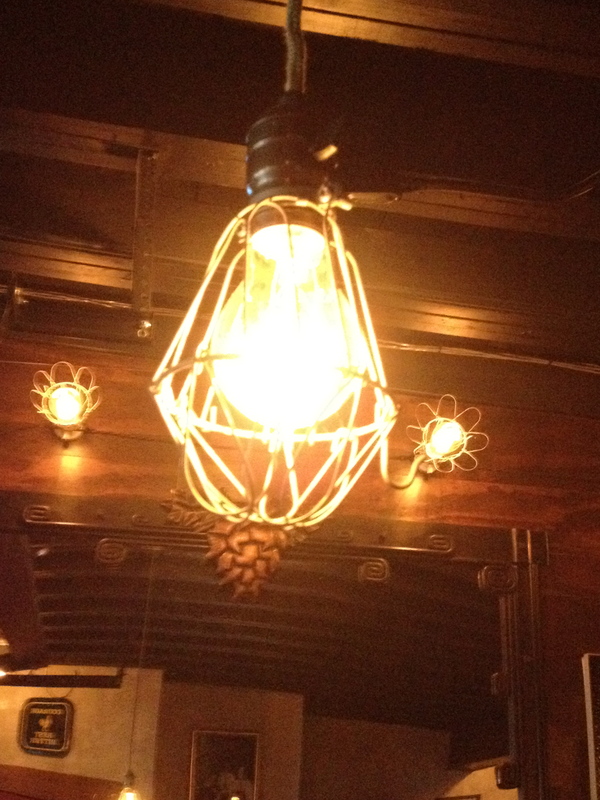 The light bulbs add a rustic feel to The Yard Cafe, a small Seattle bar and restaurant. If you want a place where people spark up random and engaging conversations, then hit The Yard Cafe in Seattle’s Greenwood neighborhood. You also may end up with a phone number at the end of the night. This is one of The Solo Cook’s Hot Spots. With bare light bulbs dangling from the ceiling and dark wood walls and booths, The Yard Cafe feels like a cozy mine shaft. 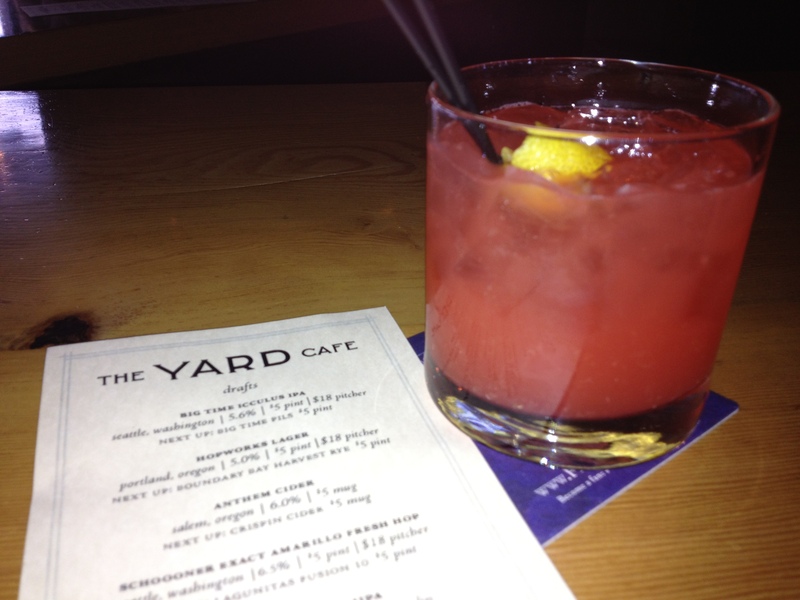 The Yard Cafe, at 8313 Greenwood Ave. N., evokes its name during the summer with outside seating at picnic tables, where people read books, peck at their computers and cuddle with their dogs. Inside this small, dark bar and restaurant you’ll find amazing drinks, beers and a Latin-focused menu. What’s refreshing is that there are no piñatas, colorful flags and wool blankets stapled to the walls. With autumn here, this is my hunker down locale that is casual and relaxed. The Break of Don cocktail is one of several on the drink list that you’ll want to try. There also is a great selection of beers on tap. For a spin on the traditional margarita, order the Break of Don, with tequila, Campari and citrus. The Campari played off the citrus so well that the drink was gone within minutes and I was sucking on the ice cubes for the last bits of flavor. The menu has the traditional favorites of tacos, arroz con pollo, and grilled fish Veracruz. But my eyes locked on the queso fundido with homemade chorizo. With small corn tortillas served on the side, I made bubbling, oozing pockets of creamy cheese, green chiles and chorizo. There’s no need to count the calories on this dish – it’s off the charts and totally worth it. This is a great dinner for $7.50. 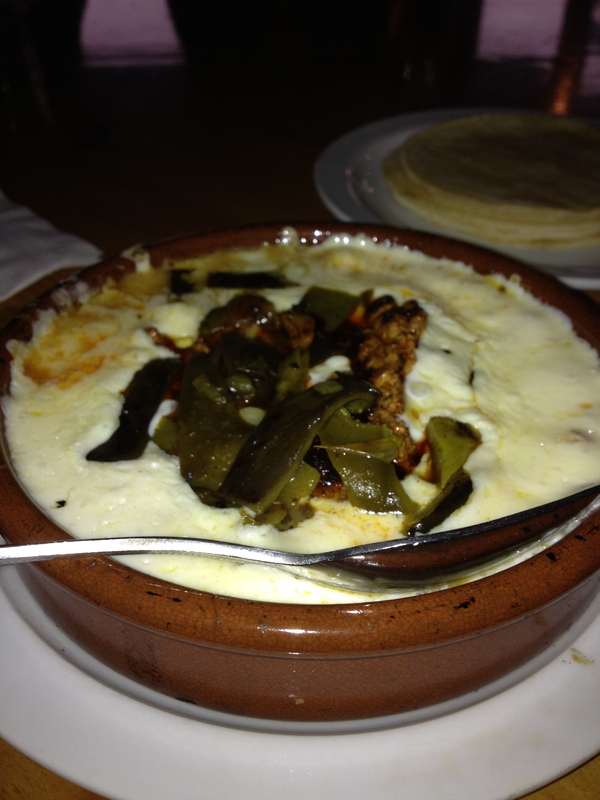 Queso fundido with house-made chorizo oozes with flavor at The Yard Cafe. When I arrived, I quickly realized this was a place for conversation and yes, meeting other single people. I shut the laptop down and was quickly immersed in chats about legalizing marijuana, the variety of beer hops in Washington state and the bitter loss my Green Bay Packers faced at the hands of the Seahawks and the amateur officials. A drink you can nurse while chatting with new friends is the Burnt Orange, with rye, Grand Marnier, orange juice and bitters. But don’t forget the draft beer list with ever-changing taps of cider, IPA, pilsner, stout and more. The owners of the Dray in the Phinney Ridge neighborhood of Seattle also own the Yard – which is spelled backwards. Cocktails are $8 and draft beers are $5-8. Happy hours of 4-6 p.m. and 10 p.m.-close make these drinks even more appealing with $1 off. It can be chilly inside because of the open deck area, so wear layers. Posted in Hot Spot restaurants and bars and tagged bar, beer, latin food, margaritas, queso fundido, restaurant, Seattle, tacos. Bookmark the permalink.